I have read all these books, and the verdict is in! I am thrilled by this serious. This is my one truly crazy sauce series that I simply must keep up with. And Karen Robards definitely did not let the crazy sauce levels abate. Seriously, this book is the biggest head trip of the series, which if you’ve read the previous books is truly saying something. Charlie Stone is depressed since her lover was sucked back to Spookville. She is trying to get through each day one day at a time, without much success, when in walks Michael Garland’s doppelgänger (or maybe his evil twin) with a subpoena for her files on him. In the midst of her meeting with him, and while a Scared Straight group is touring the prison, the serial killers she has been studying stage a prison break and kidnap her, the kids, and the doppelgänger. Charlie’s terror drags Michael back, and so starts our story. Michael spends a good bit of his time in the doppelgänger’s body, so him being corporeal makes for a nice change, but at times the ethical considerations of utilizing another person’s body like that kind of gave me the heeby-jeebies. But once I put that to rest it was all hot and sweet. But seriously, don’t ponder that aspect too much it completely ruins the rest of the vibe. This was much more of a relationship book than a romantic suspense book. I mean there was plenty of action and mystery to go around, but it happened to them more passively than being an active mystery they were trying to solve this time. WHich was probably just as well since there was SOOOO much relationship angst. A serious eff-ton of relationship angst all piled on top of the crazy sauce train. It was the express train too. We also got some more Lena and Buzz time, which was as always a delight, though their page time was short. When it comes to the ending and the resolution of the Michael thing though, that is where the real head trip comes in. What? Did anyone reading this review seriously think that a ghost seeing forensic psychic who is in love with a serial killer and whose best friend is an honest to goodness psychic would be enough for me to call this a head trip at this point? Lets be real, it certainly was not. But this ending came right out of left field. 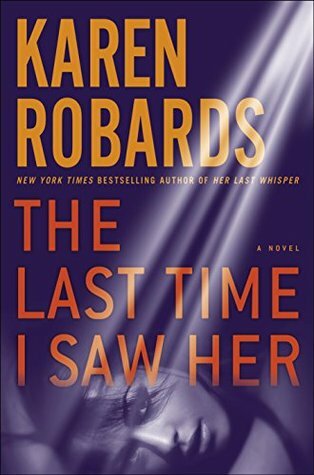 I did not see it coming and I can not quite decide if Robards went into this series not quite knowing where she’d end up and how she’d get out of the set-up, or if she is simply brilliant. It was just about the most novel way out of the ghost hero trap that I think is possible to dream up, anad I have read a few ghost heroes. A bit of a deus ex machina I suppose, but a fun way out nevertheless. Seriously, if crazy sauce is your thing this is a don’t miss series. Looking back, at previous reviews, I think I was maybe not as consistent of a grader as I am now. So honestly, while this isn’t a perfect series, and sometimes it felt like we readers were being jerked around, now that the payoff is here it was absolutely worth it and I am so glad I stuck around. Yay for payoff! After last time, I vowed not to read another book in this series until it was really THE END. OK, now that it is live for real, I can reply Willaful. Yes there is absolutely payoff, I was so irked with the last one. I started this thinking it was a trilogy and didn’t start the first two until I had my hands on the third one. I think she may continue to use these characters and have spin offs, but I’ll take the crazy sauce payoff. I also thought it was a trilogy and was fit to kill after book 3!